Ok, now I know what you’re thinking – another Colarusso’s review, REALLY?! Yes, really! Before you stop reading because you feel like you’ve already read my Colarusso’s Cafe in Clarks Summit and Colarusso’s Coal Fired in Dickson City reviews, just hear me out for a minute! 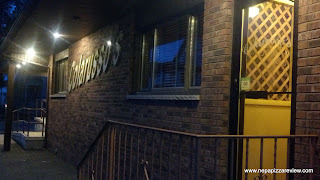 First, besides the large corporate chains that have a presence here, Colarusso’s is probably one of (if not) the most prominent pizza names in the area because of the number of locations and longstanding business. Next, I have not yet reviewed any pizza in Jessup and several people have requested that I review it. And finally, I think it’s fascinating to compare and contrast these types of places and get an understanding of the nuances of each. 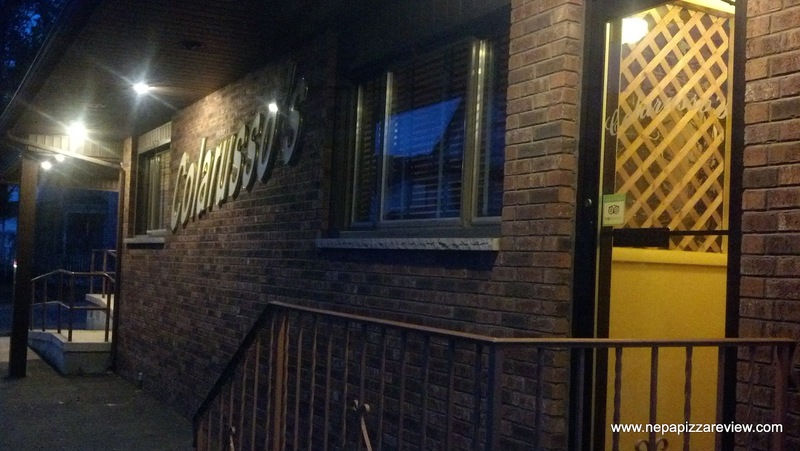 On top of that, you can look forward to at least one more Colarusso’s review because one of the most frequent requests for review that I get is for the Colarusso’s in Avoca! So with that little bit of housekeeping taken care of, let’s get to it – shall we? I’ve been to Jessup many times in my day, mostly to attend Saint Ubaldo Day festivities and the Jessup Carnival, but I’ve never set foot inside of this Colarusso’s location. For the record, I have no idea if this place is affiliated or owned by the same people, but I would have to assume so because of the many similarities such as the signage and that the colorful Colarusso’s Coal Fired Pizza van was parked in the Jessup parking lot. The first lady and I teamed up for this review and entered through the door on the right of the building which took us into the bar area which appeared to be a fully stocked, full service bar. It looked like a nice place to grab a martini after work and relax. To the left, we were greeted by our hostess and taken to the first dining room. I could see from my vantage point that there were two dining areas in addition to the bar area which meant that this restaurant has some serious capacity to serve its customers. The whole place had a nice relaxed Italian vibe to it - not too fancy, but not too formal and it seemed like a nice place for a family to sit down for a meal. Before we ordered, the first lady and I decided we were going to try to eat a bit healthier on this night so we were going to order only half a tray of pizza. Just as soon as I agreed to a salad and a slice of pizza, I spotted something unique on the menu - Parmesan fries. 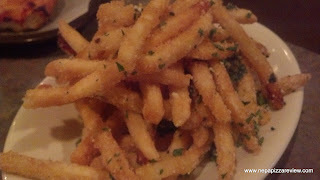 I thought to myself, well I love Chickie and Pete's crab fries, so I must try these too! For the record, the fries were amazing and I recommend you grab an order - for less than three bucks they're a steal! 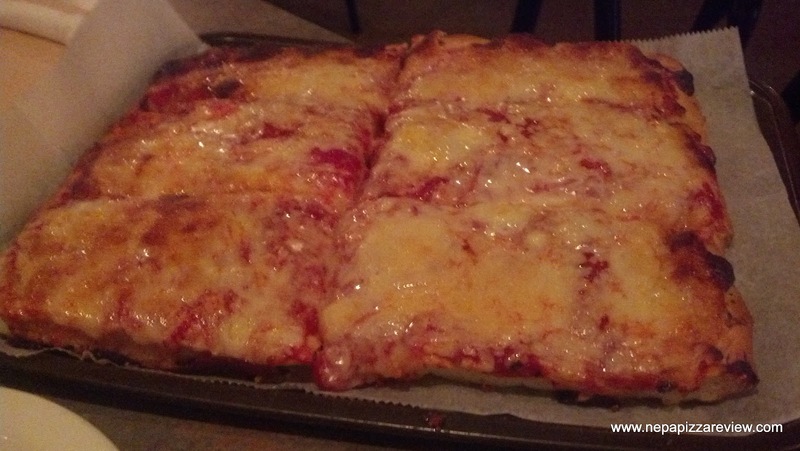 Alas, I am writing about pizza on this blog, so I should add that we ordered a 6 cut tray of red (if you aren't from NEPA, the translation of that = "1/2 of a pizza" see my article on "trays" for the inside scoop). When the pizza came out, I immediately noticed that this pie was considerably darker than the many Colarusso's Cafe pizzas in Clarks Summit. In eating 50+ pies through the years at the Clarks Summit location, I've never once had one with any burned American cheese on top, but that's not necessarily a bad thing. The rest of the pie seemed very familiar to me, a nice thick homemade crust and vibrant red sauce - but as we ventured deeper into the pie we noticed that there were some differences from top to bottom. From the bottom up, the crust was nice and thick, and cooked about as well as it could have been. There was a lovely varying bubble pattern and the dough had a fine texture. It was somewhat crispy, but wasn't as fluffy as I would have liked, and it lacked the unmistakable crunch that I've come to know at the Clarks Summit location. I think the difference here is the use of oil in the pan. Colarusso's pizza is literally ALWAYS crispy, even after you refrigerate it overnight and eat it cold the next morning, which is what I love about it. I tried this pie the next morning, and I can't say there was any crispness to it, but I think that is a lot to ask of any pizza! The sauce was a nicely balanced, slightly sweet sauce with some onions in it. I always warn the onion haters when I detect onions in the sauce, but have no fear I think they will strain the onions for you if they aren't busy! Finally, on to the cheese, which is hard for me to guess at but I'll go with some type of American/Cheddar/Something similar blend. I do think that burning the cheese (even a little like this one) does change the whole chemistry to the pizza by making it taste saltier and flattening out the rest of the flavors of the pizza. This, however is my personal preference. I know that many people request their Old Forge Style pizzas to have the cheese burned and this would be viewed as a good thing. Although I've painted a picture of two totally different pizzas here, both locations really do have the same ingredients in my estimation, and both pizzas are very good. The two main differences were simply burned cheese and oil in the pan. I would not hesitate to go back to Colarusso's in Jessup because they treat you well, they have great food, and you know it's going to be consistent. 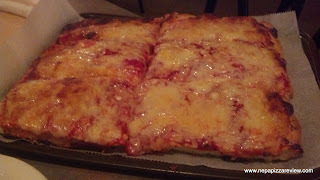 To me, the Colarusso name stands for quality in NEPA, and whether or not they are related I don't know, but Colarusso's is 3 for 3 in getting the NEPA Pizza Review stamp of approval!